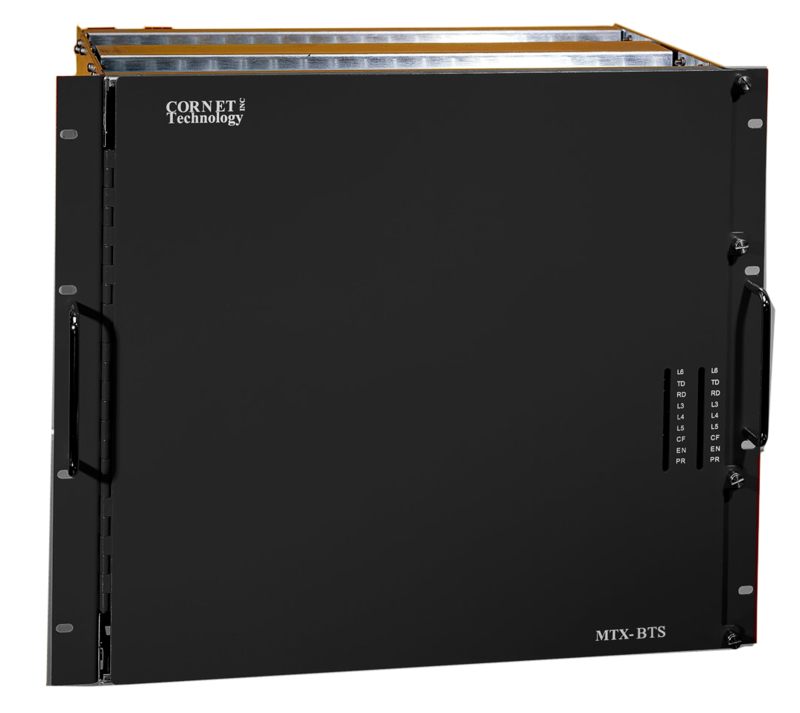 Designed for shipboard communication applications, the MTX-R BTS (Black Tactical Switch) performs automated switching and control of clear and encrypted signals among modems, encryption devices, radio transmitters, and receivers. Capable of interconnecting up to 512 individual wideband (25 KHz) analog ports, the MTX-R BTS handles shipboard communication with ease, including both analog and digital interfaces and controls and both narrowband and wideband signals. Supports 512 ports with any combination of lines and trunks.